At Austiger, we are proud to have a 100% green web hosting initiative. 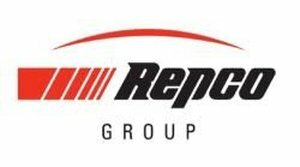 We are a 100% Carbon Neutral Provider and 100% Australian Owned and Operated. Everything we do, we believe in stepping lightly on our planet. We confidently empower businesses to reduce their carbon footprint. We do this by offering 100% carbon-neutral web hosting solutions without compromise and always will. With all this in mind, we decided to help make another kind of impact and adopt a Tasmanian Devil. We are proud to have Dean in our lives. You may have grown up with the Tasmanian Devil as the cartoon character that grunts a crazy language and spins around a lot, but the Looney Tunes character is actually based on the real thing. The real life Tasmanian Devil is a rare marsupial that lives only in Tasmania and it is sadly upon the brink of extinction. In 2008, the devil was declared as an endangered species. This is due to the rare cancer they develop, which is called Devil Facial Tumor Disease (DFTD). When the meat-eating marsupial is infected with DFTD, large tumors develop around its mouth and neck. These growths make it impossible for the devil to eat. Many ultimately die from starvation within six months of being infected. DFTD is one of only two known cancers that are contagious. It spreads like a cold or flu from animal to animal. The facial tumours are spread through biting and since the disease was first observed in 1996, there has been a 64 percent decline in sightings of the devil across Tasmania. In the island state's northeast, where the tumours were first seen, the number of sightings fell by 95 percent over the decade to 2005. "The change in the devil's status reflects the real possibility that this iconic species could face extinction in the wild within 20 years," Tasmania's Primary Industries Minister, David Llewellyn, said in a statement. 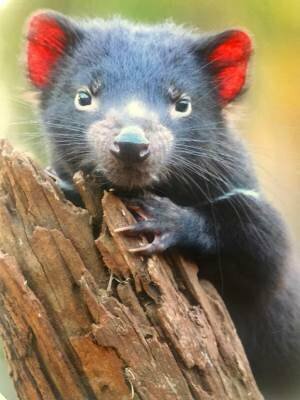 Devil Ark explains that; “with less than 10% of Tasmanian devils living in Australia as of May 2018, every single Tasmanian devil joey is critical to saving the species. Unfortunately the stats are not on the Tasmanian devils side, with over 90% of the population disappearing from the wild since Devil Facial Tumour Disease was discovered in 1996.” This is why we want to help. We want to be apart of the changing world where green initiatives are used and helping keep our animals from extinction is a vital part of the plan. We want our grandkids to grow up knowing of and being able to view Tasmanian Devils. When you do business with AusTiger Hosting you are effectively reducing your own company's carbon footprint.